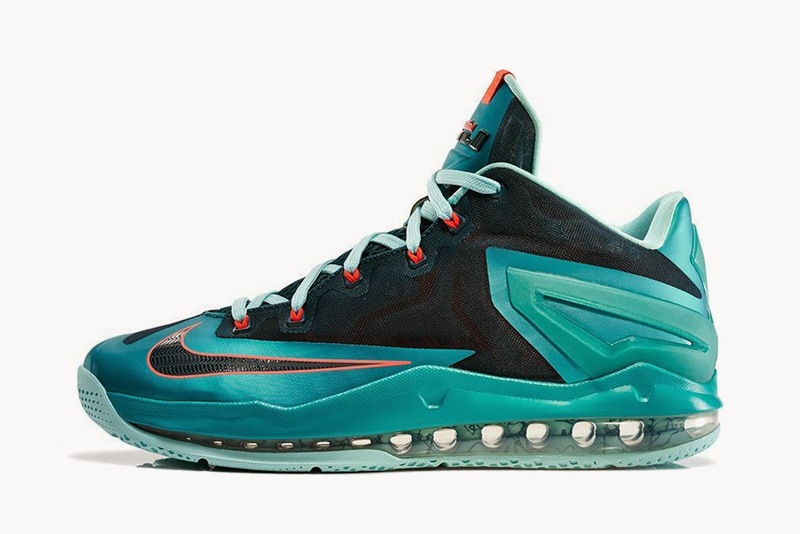 The Nike LeBron 11 Max Low is set to drop this week in a new “Turbo Green” colorway. This low-top variant of LeBron’s signature shoe features a full-length Max Air bag below and a synthetic and mesh upper with Dynamic Flywire supports. Inspired by the water around Miami, this colorway features a green upper with crimson accents. Look for LeBron 11 Max Low “Turbo Green” when it launches Saturday, May 24 at Nike.